Brandon is a Gaston County native who calls Bessemer City home. Brandon graduated from Bessemer City High School in 2011, attended Gaston College, and in addition to being a licensed real estate agent and member of the Realtor Association, he is also a notary public and has been certified as a Manager of Environmental, Safety and Health programs (MESH) by the state of North Carolina. 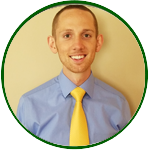 As someone who grew up working for his family’s small business, Brandon understands the value of hard earned dollars and the importance of making the right investment of your time & money when buying or selling property. Brandon takes pleasure in nothing more than helping a client find the right home for them, so for all your buying and selling needs contact Brandon, your dedicated Realtor, today.